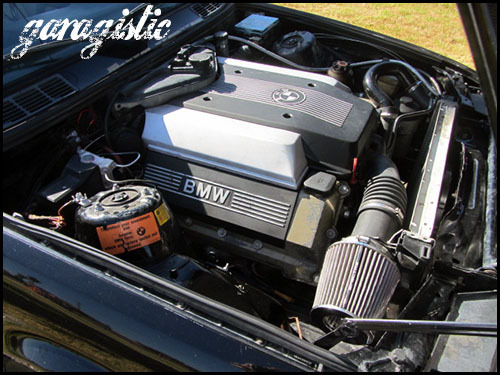 The E30 BMW chassis is well known for its build quality, nimble chassis and sweet sounding inline-6 engines. It isn't known for speed, even the M3 version is slow compared to most modern machinery, so it makes sense to swap in a big V8 from another BMW...right? Why not let someone else do the work and buy this 1989 BMW 340i with M60 V8 from a 740i, for sale in Costa Mesa, CA via craigslist. The car is being sold by its builder, a company called garagistic - and they have a detailed writeup and videos on the garagistic.com site. The exterior isn't show-car perfect, and its original paint has some dings/dents - but the condition is preferred over a cheap respray. The wheels are a bit blingy with the white powder coat, but the have the right style and look appropriately tucked into the fenders. Pop the forward-hinged hood and admire the alusil block M60B40, a 4.0 liter terror that in stock form makes 282 horsepower and 295 ft-lbs of torque. Want to hear what an M60 sounds like with only a single flowmaster and side pipes? Watch this youtube video of Black Iron Racing's 540i on track. Thankfully, this E30 is equipped with a 6 spd manual transmission from a later 540i-6. 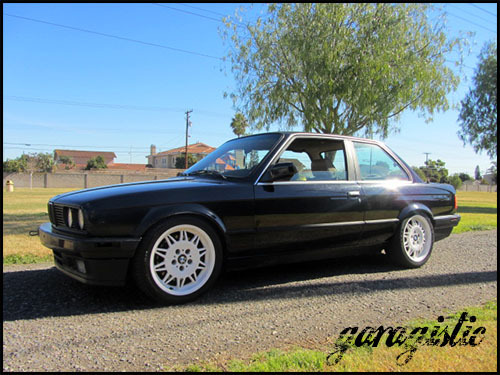 Apparently, garagistic used this car as a test mule for a line of e30 V8 engine mounts they were developing and now are moving on to other projects, giving someone else the chance to enjoy hooning this potentially hoontastic 3-series. There are a few issues (brakes need looking into, lightweight flywheel is shuddery) but overall this car could be a sweet daily driver.